Dock580 is a well-respected wedding venue not only in our area, but throughout the wedding planning community. They are included in The Knot's "Best of Weddings" Hall of Fame, earning the "Best of Weddings" award in 2013, 2015, 2016, 2017, and 2018 and Wedding Wire's "Couple's Choice Award" in 2015 and 2017. If you are looking for a great historic location where the staff will handle most of the details of your wedding, we encourage you to contact the staff of Dock580 to see if this is the perfect place for you to get married. Of course, one of the most important aspects of a great wedding is having the right vendors. We encourage you to check out our list of preferred vendors, which includes information on all our favorite florists, DJs, live bands, and others you may want to work with to help you create your dream wedding. 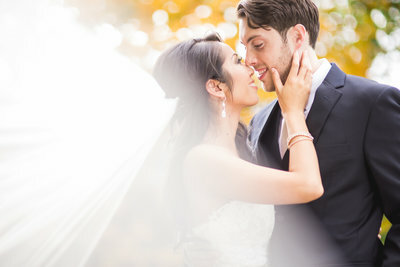 At Style & Story, we are dedicated to providing couples with the best wedding photography experience possible. Contact us to learn more about our great photography services and to determine if we would be a great fit. Of course, one of the topics of concerns for many couples getting married is the cost, especially if they are paying for the wedding themselves. The exact cost of your wedding will depend on your preferences, but according to Wedding Spot, you can expect to spend about $11,000-$17,000 on a reception and ceremony for 100 people. The Knot has listed Dock580 as "Affordable", making it a great option for couples who want an elegant wedding for a good price. This cost also includes catering services. Plus, you can bring your own alcohol without worrying about a surcharge. Other services that Dock580 provides for your day are customized menus, a wedding planner, an in-house bartender, and overall, a great experience provided by their friendly staff. Whether you have your dream day all planned out in your head, or you need help figuring out where to even get started, it is best to reach out to the staff at Dock580 to determine how much you can expect to spend on your special day. One great thing to love about Dock580 is that you have options when it comes to where you have your ceremony and reception. The two main locations you can rent for your special day are either the Loft or the Venue, each with their own benefits. 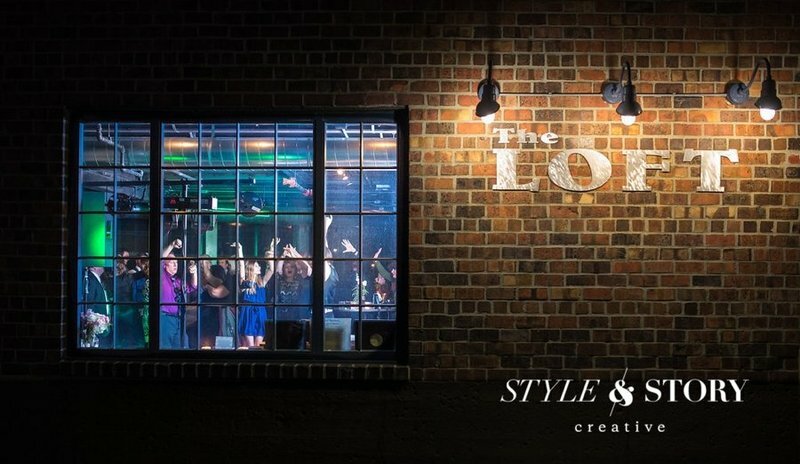 The Loft allows for up to 200 guests, offering both upstairs and downstairs space, giving a great opportunity for guests to eat on the upper level, while the lower level becomes a dance floor. The Loft has floor-to-ceiling windows, exposed brick walls, steel overhead beams, and a glass wall, which opens to a paved terrace. The Venue is a great space because it has an adjoining courtyard, giving you and your guests both indoor and outdoor space, although the indoor space can only accommodate 165 guests. The Venue, or the courtyard are two great options for your wedding ceremony, making The Venue a great place for a summer wedding. No matter which location you choose, you are sure to have many wonderful photo opportunities. Perhaps pictures in front of the warehouse and enjoying an outdoor ceremony are more your style, or we can grab some shots in front of the city skyline! 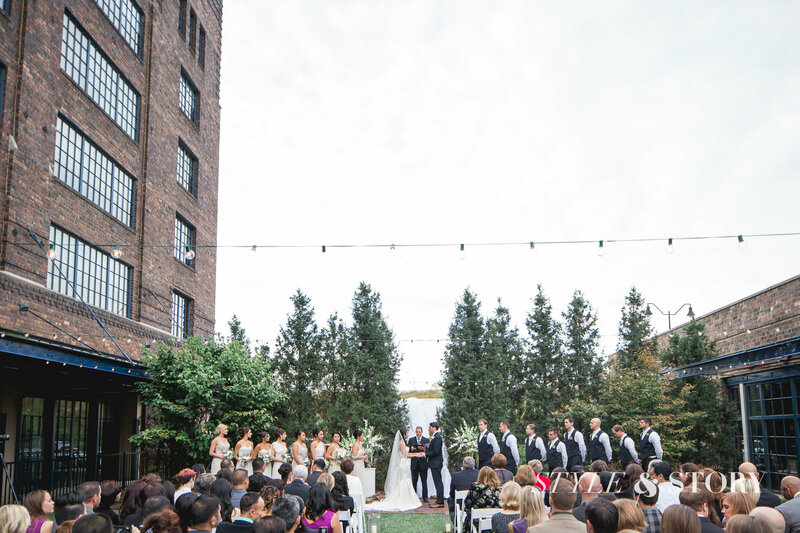 Click to see Tristsan & Lee's incredible wedding at Dock 580, Columbus. Click to see Sarah & Nick's incredible wedding at Dock 580, Columbus. 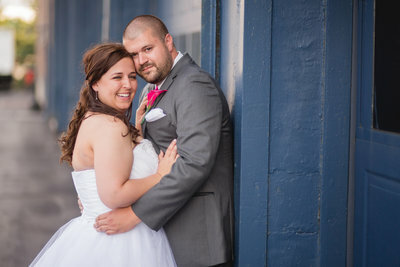 Click to see Amber & David's incredible wedding at Dock 580, Columbus.